The Annals of Ulster , AD 431–1131, ed. and trans. Mac Airt and Gearóid Mac Niocaill (Dublin, 1983); AD 1155–1201, ed. and trans. B. Mac Carthy (Dublin, 1893). The Annals of Ulster , AD 1202–1378, ed. and trans. B. Mac Carthy (Dublin, 1893). The Annals of Ulster , AD 1379–1541, ed. and trans. B. Mac Carthy (Dublin, 1895). The Annals of Tigernach , trans. by G. Mac Niocaill (unpublished). The Annals of Inisfallen , MS Rawlinson B.5 03, ed. and trans. S. Mac Airt (Dublin, 1988). The Annals of Inisfallen, Prepatrician Section , MS Rawlinson B.5 03, ed. and trans. S. Mac Airt (Dublin, 1988). The Annals of the Kingdom of Ireland by the Four Masters [Annála Ríoghachta Éireann], Vol. 1, ed. and trans. John O'Donovan (Dublin, 1848–51). The Annals of the Kingdom of Ireland by the Four Masters [Annála Ríoghachta Éireann], Vol. 2, ed. and trans. John O'Donovan (Dublin, 1848–51). The Annals of the Kingdom of Ireland by the Four Masters [Annála Ríoghachta Éireann], Vol. 3, ed. and trans. John O'Donovan (Dublin, 1848–51). The Annals of the Kingdom of Ireland by the Four Masters [Annála Ríoghachta Éireann], Vol. 4, ed. and trans. John O'Donovan (Dublin, 1848–51). The Annals of the Kingdom of Ireland by the Four Masters [Annála Ríoghachta Éireann], Vol. 5, ed. and trans. John O'Donovan (Dublin, 1848–51). The Annals of the Kingdom of Ireland by the Four Masters [Annála Ríoghachta Éireann], Vol. 6, ed. and trans. John O'Donovan (Dublin, 1848–51). Annals of Loch Cé, a Chronicle of Irish affairs from A.D. 1014 to A.D. 1590 Vol. 1, ed. and trans. William M. Hennessy (Dublin, 1871). Annals of Loch Cé, a Chronicle of Irish affairs from A.D. 1014 to A.D. 1590 Vol. 2, ed. and trans. William M. Hennessy (Dublin, 1871). The Annals of Connacht [Annála Connacht], ed. and trans. A. Martin Freeman (Dublin, 1970). Miscellaneous Irish Annals (A.D.1114–1437), Fragment I [Mac Carthaigh's Book], ed. and trans. by Séamus Ó hInnse (Dublin: DIAS 1947). Miscellaneous Irish Annals (A.D.1114–1437), Fragment II , ed. and trans. by Séamus Ó hInnse (Dublin: DIAS 1947). Miscellaneous Irish Annals (A.D.1114–1437), Fragment III , ed. and trans. by Séamus Ó hInnse (Dublin: DIAS 1947). Chronicon Scotorum , trans. by William M. Hennessy (London: Longmans 1866) and Gearóid Mac Niocaill (unpublished manuscript). Fragmentary Annals of Ireland , ed. and trans. by Joan Newlon Radner (Dublin: DIAS 1978). The Annals of Clonmacnoise , ed. and trans. Denis Murphy (Dublin, 1896). The Irish Version of the Historia Britonum of Nennius , ed. and trans. James Henthorn Todd, Dublin 1848. The Battle of Carnn Conaill , ed. and trans. Whitley Stokes, Zeitschrift für Celtische Philologie 3 (1901). The three drinking-horns of Cormac úa Cuinn (From the Liber Flavus Fergusiorum) , ed. and trans. E. J. Gwynn, Ériu 2 (1905) 186–88. Geoffrey Keating: History of Ireland, Book I–II (Vol. I–III) , ed. and trans. D. Comyn and P. Dinneen (London 1902–1908). The ancient Territory of Fermoy , ed. and trans. by J. G. O'Keeffe, Ériu 10 (1926-28) 170–189. The Flight of the Earls , ed. and trans. Paul Walsh, Maynooth and Dublin 1916. Cáin lánamna (The law of the couple) , trans. by Donnchadh Ó Corráin, 'Early medieval law, c. 700–1200', in: Angela Bourke, Siobhán Kilfeather, Maria Luddy, Margaret Mac Curtain, Geraldine Meaney, Máirín Ní Dhonnchadha, Mary O'Dowd and Clair Wills (eds. ), The Field Day anthology of Irish writing, iv (Cork 2002), 6–44: 22–26. Lebor na Cert [Book of Rights] , ed. and trans. Myles Dillon. Dublin: ITS vol. 46, 1962. The Irish Triads , ed. and trans. by Kuno Meyer. Todd Lecture Series 13, London 1906. The Genealogies, Tribes, and Customs of Hy-Fiachrach, commonly called O'Dowda's Country , ed. and trans. John O'Donovan (Dublin 1844). The genealogy of Corca Laidhe , ed. and trans. John O'Donovan (Dublin 1849). A Poem on the Kings of Connaught , ed. and trans. M. F. Liddell, Zeitschrift für Celtische Philologie 9 (1913) 461–469. The Metrical Dindshenchas, Volume 1 , ed. and trans. Edward Gwynn, Dublin: Dublin Institute for Advanced Studies 1991. The Metrical Dindshenchas, Volume 2 , ed. and trans. Edward Gwynn, Dublin: Dublin Institute for Advanced Studies 1991. The Metrical Dindshenchas, Volume 3 , ed. and trans. Edward Gwynn, Dublin: Dublin Institute for Advanced Studies 1991. The Metrical Dindshenchas, Volume 4 , ed. and trans. Edward Gwynn, Dublin: Dublin Institute for Advanced Studies 1991. The Life of Aodh Ruadh O Domhnaill (Beatha Aodha Ruaidh Uí Dhomhnaill) , ed. and trans. Paul Walsh, Dublin 1948. Bethada Náem nÉrenn [Lives of Irish Saints] , ed. and trans. Charles Plummer (Oxford 1922). [This is a selection containing English translations ]. Bethu Brigte [The Life of Brigit] , ed. and trans. Donncha Ó hAodha (Dublin: DIAS 1978). The birth and life of St Mo Ling , ed. and trans. Whitley Stokes (London 1907). The Life of St Féchín of Fore , ed. and trans. Whitley Stokes (Paris 1891). The Life of Fursa , ed. and trans. Whitley Stokes (Paris 1904). On the Life of Saint Patrick [Betha Phatraic] , ed. and trans. Whitley Stokes (Calcutta 1877). On the Life of Saint Brigit [Betha Brigte] , ed. and trans. Whitley Stokes (Calcutta 1877). On the Life of Saint Columba [Betha Choluim Chille] , ed. and trans. Whitley Stokes (Calcutta 1877). Life of Mac Creiche [Betha Meic Creiche] , ed. and trans. Charles Plummer, Miscellanea Hagiographica Hibernica (Brussels 1925) 53–91. Life of Naile , ed. and trans. 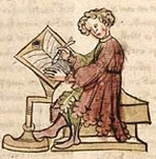 Charles Plummer, Miscellanea Hagiographica Hibernica (Brussels 1925) 126–151. Life of St. Declan of Ardmore , ed. and trans. Patrick Power, Irish Texts Society 16 (London 1914). The Miracles of Senan [Míorbuile Senáin] , ed. and trans. Charles Plummer, Zeitschrift für Celtische Philologie 10 (1914) 1–35. Life of Colmán Son of Lúachán , Todd Lecture Series 17, ed. and trans. Kuno Meyer, 1911. Tidings of Doomsday , ed. and trans. Whitley Stokes, Revue Celtique 4 (1879–80) 245–2–57. Tidings of the Resurrection , ed. and trans. Whitley Stokes, Revue Celtique 25 (1904) 232–59. The fifteen tokens of Doomsday , ed. and trans. Whitley Stokes, Revue Celtique 28 (1907). The Vision of Laisrén , ed. and trans. Kuno Meyer, Otia Merseiana 1 (1899) 113–119. Cath Maige Tuired (The Second Battle of Mag Tuired) , ed. and trans. Elizabeth Gray (Naas: ITS 1982). The Second Battle of Moytura , ed. and trans. Whitley Stokes (Revue Celtique 12 (1891) 52–130, 306–308.). The Wooing of Étain [Tochmarc Étaíne] , ed. and trans. Osborn Bergin and Richard Irvine Best, Ériu 12 (1938) 137–196. Deirdre [Longes mac nUislenn] , ed. and trans. Douglas Hyde, Zeitschrift für Celtische Philologie 2 (1899). The Exile of the Sons of Uisliu [Longes Mac nUislenn] , ed. and trans. Vernam Hull (New York 1971). The Glenmasan Manuscript , ed. and trans. Donald Mackinnon, The Celtic Review 1904–1908. The Wooing of Emer , ed. and trans. Kuno Meyer, Archaeological Review 1 (1888). Táin Bó Cuailgne, Recension I , ed. and trans. Cecile O'Rahilly (Dublin: DIAS 1976). The Destruction of Da Derga's Hostel , trans. Whitley Stokes. Táin Bó Cuailgne from the Book of Leinster , ed. and trans. Cecile O'Rahilly (Dublin: DIAS 1970). The Death-Tales of the Ulster Heroes , ed. and trans. Kuno Meyer (Dublin: Royal Irish Academy 1906). The Training of Cú Chulainn , ed. and trans. Whitley Stokes. The Death of Conn of the Hundred Battles [Oided Chuind Chétchathaich annso] (Book of Lecan 350a) , ed. and trans. O. Bergin, Zeitschrift für celtische Philologie 8 (1912) 274–277. Ailill Aulom, Mac Con, and Find ua Báiscne (Laud 610) , ed. and trans. Kuno Meyer, Fianaigecht (Dublin 1910) 29–41. The Courtship of Momera (Yellow Book of Lecan) , ed. and trans. Eugene O'Curry, The Battle of Magh Leana together with The Courtship of Momera (Dublin 1855) 152–167. The Quarrel between Finn and Oisín , ed. and trans. Kuno Meyer, Fianaigecht (Dublin 1910) 22–26. The Chase of Síd na mBan Finn and the Death of Finn , ed. and trans. Kuno Meyer, Fianaigecht (Dublin 1910) 53–97. Reicne Fothaid Canainne , ed. and trans. Kuno Meyer, Fianaigecht (Dublin 1910) 5–17. Erard mac Coisse cecinit: O Mór of Moyne of Mag Siúil , ed. and trans. Kuno Meyer, Fianaigecht (Dublin 1910) 43–45. The Finn episode from Gilla in Chomded húa Cormaic's poem "A Rí richid, réidig dam" , ed. and trans. Kuno Meyer, Fianaigecht (Dublin 1910) 47–51. The Destruction of Dind Ríg [Orgain Denna Ríg] , ed. and trans. Whitley Stokes, Zeitschrift für Celtische Philologie 3 (1901) 1–14. The Adventures of Suibhne Geilt [Buile Shuibhne] , ed. and trans. J. G. O'Keeffe (London 1913, ITS vol. XII). The Death of Finn Mac Cumaill , ed. and trans. Kuno Meyer, Zeitschrift für Celtische Philologie 1 (1897) 462–465. Finn and Grainne , ed. and trans. Kuno Meyer, Zeitschrift für Celtische Philologie 1 (1897) 460. Two Tales about Finn , ed. and trans. Kuno Meyer, Revue Celtique 14 (1893) 242–243; 246–247. The Hiding of the Hill of Howth , ed. and trans. Kuno Meyer, Revue Celtique 11 (1890) 125–134: 131–134. Liadain and Curithir: an Irish love-story of the ninth century , ed. and trans. Kuno Meyer, London 1902. The Voyage of Snedgus and Mac Ríagla , ed. and trans. Whitley Stokes. The Voyage of the Hui Corra , ed. and trans. Whitley Stokes. The Gaelic Maundeville , ed. and trans. Whitley Stokes. The Gaelic abridgment of the Book of Ser Marco Polo , ed. and trans. Whitley Stokes. The Civil War of the Romans , ed. and trans. Whitley Stokes, Irische Texte. Leipzig 1909. The wandering of Ulixes son of Laertes , ed. and trans. Kuno Meyer, London 1886. The Irish Lives of Guy of Warwick and Bevis of Hampton , ed. and trans. F. N. Robinson, Zeitschrift für Celtische Philologie 6 (1908) 105–180; 298–320. The colloquy of Colum Cille and the youth at Carn Eolairg , translated by Kuno Meyer, ZCP 2 (1899) 316–317. The White Hound of the Mountain [Cú bán an t-shleibhe] , trans. Kuno Meyer, Zeitschrift für Celtische Philologie 1 (1897) 152–156. The Shining Sword and the Knowledge of the Cause of the one Story about Women [An Cloidheamh Soluis agus fios fáth an aon sgeil ar na mnáibh] , trans. D. O'Fotharta, Zeitschrift für Celtische Philologie 1 (1897) 485–492. Patrick Mac Bride and his son , trans. J. H. Lloyd, ZCP 2 (1899) 156–159: 157–159. Guleesh na Guss Dhu , trans. Douglas Hyde, Beside the Fire (London 1890) 104–128. Paudyeen O'Kelly and the Weasel , trans. Douglas Hyde, Beside the Fire (London 1890) 73–89. The Well of D'yerree-in-Dowan , trans. Douglas Hyde, Beside the Fire (London 1890) 129–141. Aislinge Meic Con Glinne [The Vision of MacConglinne] , ed. and trans. Kuno Meyer (London: Nutt 1892). The bardic poems of Tadhg Dall Ó Huiginn (1550–1591) , ed. and trans. by Eleanor Knott. The Book of Clanranald , ed. and trans. by Alexander Cameron. The Irish Vision at Rome , ed. and trans. by John T. Gilbert. The Mourner's Soliloquy in the Ruined Abbey of Timoleague , trans. by Thomas Furlong. Lament over the Ruins of the Abbey of Teach Molaga , trans. by James Clarence Mangan. Lament over the Ruins of the Abbey of Timoleague , trans. by Sir Samuel Ferguson. The instructions of King Cormac Mac Airt: Tecosca Cormaic , trans. by Kno Meyer. Rosa Anglica , ed. and trans. W. Wulff, ITS 25, London  1929. On Wounds , trans. W. Wulff (unpublished). Les Deux Chagrins du Royaume du Ciel [Da brón Flatha Nime] , ed. and trans. Georges Dottin. Une version irlandaise du Dialogue du Corps et l'Âme (attributé a Robert Grosseteste) , ed. and trans. Georges Dottin. Le siège de Druim Damhghaire (attributé a Robert Grosseteste) , ed. and trans. Marie Louise Sjoestedt. Welches sind die drei, die gleich nach ihrer Geburt zuerst gesprochen haben? , ed. and trans. Rudolf Thurneysen. Scéla Cano meic Gartnáin , ed. and trans. Rudolf Thurneysen. Eine Variante der Brendan-Legende , ed. and trans. Rudolf Thurneysen. Die Geschichte des Nuada Find Femin , ed. and trans. Käte Müller-Lisowski, ZCP 13 (1921) 195–250. Die Geburt Chonchobars , ed. and trans. Rudolf Thurneysen, (Wiesbaden: VMA-Verlag 1987). Fraechs Werbung um Finnabir , ed. and trans. Rudolf Thurneysen, (Wiesbaden: VMA-Verlag 1987). Das Freien um Ferb , ed. and trans. Ernst Windisch, Irische Texte mit Übersetzungen und Wörterbuch (Leipzig: Hirzel 1897). Als Culanns Hund krank war , ed. and trans. Rudolf Thurneysen, (Wiesbaden: VMA-Verlag 1987). Wie das Schwein des Sohnes der Stummen zerlegt wurde , ed. and trans. Rudolf Thurneysen, (Wiesbaden: VMA-Verlag 1987). Warum Usnechs Söhne das Land verließen , ed. and trans. Rudolf Thurneysen, (Wiesbaden: VMA-Verlag 1987). Die Sage von CuRoi , ed. and trans. Rudolf Thurneysen, Zeitschrift für Celtische Philologie 9 (1913) 189–234. Wie Ronan seinen Sohn ermorden ließ , ed. and trans. Rudolf Thurneysen, (Wiesbaden: VMA-Verlag 1987). Das Werben um Ailbe , ed. and trans. Rudolf Thurneysen, Zeitschrift für Celtische Philologie 13 (1921). Mac Conglinnes Vision , ed. and trans. Rudolf Thurneysen. Das Gedicht der vierzig Fragen von Eochaid ua Céirín , ed. and trans. Rudolf Thurneysen, Zeitschrift für Celtische Philologie 13 (1921) 130; 133-136. Die irischen Triaden , nach Kuno Meyer, trans. Peter Dietsch. Song of Dermot and the Earl , ed. and trans. by Goddard Henry Orpen (Oxford: Clarendon Press, 1892). A Statute of the Fortieth Year of King Edward III, enacted in a parliament held in Kilkenny, A. D. 1367, before Lionel Duke of Clarence, Lord Lieutenant of Ireland in Tracts relating to Ireland, vol. 2, ed. and trans. James Hardiman (Dublin: Irish Archaeological Society, 1843). Description of Engand and Ireland under the Restoration , by Albert Jouvin [c 1666-1668]. The Kildare Poems Translated by Angela M. Lucas (Dublin: The Columba Press 1995). by Dicuil; ed. and trans. by James.J. Tierney, Scriptores Latini Hiberniae vol. 6 (Dublin 1967). Annales Hiberniae [The Annals of Ireland] by James Grace of Kilkenny, edited by Richard Butler. Irish Archaeological Society, Dublin 1842. Description of the Orkney Islands , by Joseph Ben, Belfast Monthly Magazine, 2, no. 9, 266–271 (Belfast 1809). The Description of Ireland , by Fynes Moryson, ed. and trans. by Charles Hughes; in: C. Litton Falkiner, Illustrations of Irish History and Topography, mainly of the seventeenth century. London 1904. The Commonwealth of Ireland , by Fynes Moryson, ed. and trans. by Charles Hughes; in: C. Litton Falkiner, Illustrations of Irish History and Topography, mainly of the seventeenth century. London 1904. The Manners and Customs of Ireland , by Fynes Moryson, ed. and trans. by Charles Hughes; in: C. Litton Falkiner, Illustrations of Irish History and Topography, mainly of the seventeenth century. London 1904. A Visit to Lecale, in the County of Down, in the year 1602–3 , by Sir Josias Bodley, in: C. Litton Falkiner, Illustrations of Irish History and Topography, mainly of the seventeenth century. London 1904. The Life of Columba, written by Adamnan , ed. and trans. by William Reeves (Edinburgh 1874). Life of St. Findan , ed. by Reidar Th. Christiansen, trans. by Kevin O' Nolan, in: Lochlann (1962), 155–164. Monks' Rules of Columbanus , ed. and trans. by G. S. M. Walker, Dublin, 1957. Sermons of Columbanus , ed. and trans. by G. S. M. Walker, Dublin, 1957.
Letters of Columbanus , ed. and trans. by G. S. M. Walker, Dublin, 1957. Remonstrance of the Irish Chiefs to Pope John XXII , ed. and trans. by Edmund Curtis, A history of medieval Ireland from 1086 to 1513, London 1943; 1968. Papal nuncio Francesco Chiericati's letter to Isabella d'Este Gonzaga (1517) ed. by J. P. Mahaffy, Hermathena 40 (1914) 10–16. The Travels of Cosmo the Third, Grand Duke of Tuscany (1669) . Briefe relation of Ireland, and the diversity of Irish in the same . Captain Cuellar's Adventures in Connacht and Ulster (Carta de uno que fué en la Armada de Ingalaterra y cuenta la jornada) . Tour in England, Ireland, and France, in the years 1826, 1827, 1828, and 1829 , by Hermann Fürst von Pückler-Muskau, trans. by Sarah Austin, Philadelphia 1833.
during a residence in London and excursions into the provinces" (London 1836), vol. 1, 187–217. Travels in Ireland , by Johann Georg Kohl (London 1844). edited by C. J. Woods, Irish Historical Studies 25/99 (May 1987) 315–321.